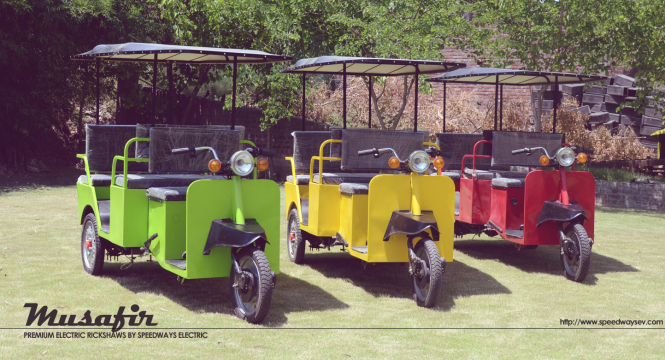 Musafir electric rickshaws are built with superior quality materials to ensure years of tireless running. You asked for a Premium e-rickshaw, we delivered! With the market saturated with cheap quality Chinese rickshaws, you asked for an electric rickshaw that doesn’t just stand to the conditions of the roads but also to the test of time. We have spent months researching on the dynamics of what electric rickshaws need to deliver on before introducing Musafir as our premium solution. We heard your every concern with prevailing models and options and delivered on the promise of a much more superior product. Our expertise with making innumerable models of electric vehicles has enabled us not just to make durable and comfortable e-rickshaws – but also ensure they look beautiful on the outside and the inside. With quality interiors, premium fittings and only the best modules, we have ensured your electric rickshaw feels like a luxurious ride. 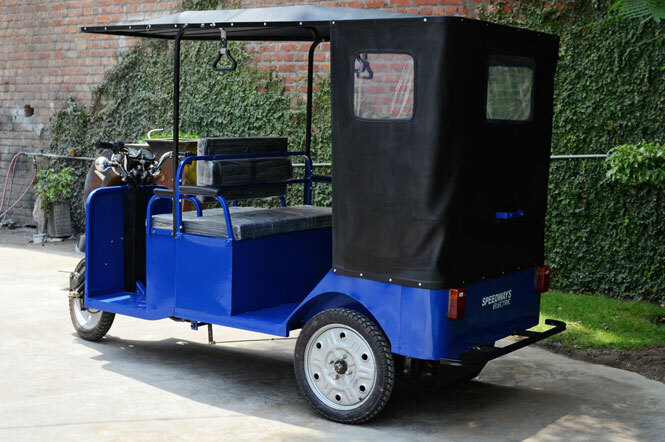 While most electric rickshaws are fitted with standard automotive batteries for their backup requirements, we have developed a special solution in our extensively developed R&D center that we call special EV-grade batteries. These batteries are designed specially for deep cycle application, ensuring not just much longer range but also a very impressive life cycle of the batteries. 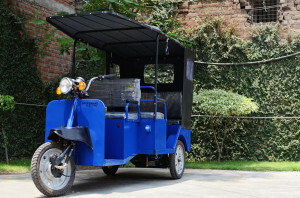 Being the powerhouse of any electric rickshaw, the batteries contribute to the performance and overall durability and life of the rickshaw as well. Our Electric Rickshaws are now available for Order! After a thorough development process followed by a strict testing procedure, we are now proud to present our electric rickshaws for order. 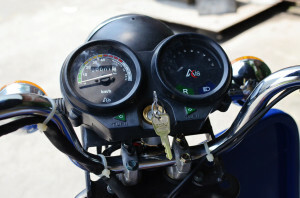 Our premium models are customized to your requirements and come with a range of custom accessories and color options. Feel free to contact us to find out more about our electric rickshaws or our many other custom electric vehicles.